Place mini graham cracker pie crusts on a small, rimmed baking sheet. Whisk together instant pudding mix and milk. Allow pudding to set up for 5 minutes. While the pudding is setting up, prepare the topping by folding the marshmallow creme into the whipped topping. The mixture may appear a little lumpy at first, but it will smooth out as you continue to combine it. Evenly divide the pudding between the mini pie crusts. Pipe or spoon the topping onto each of the pies. 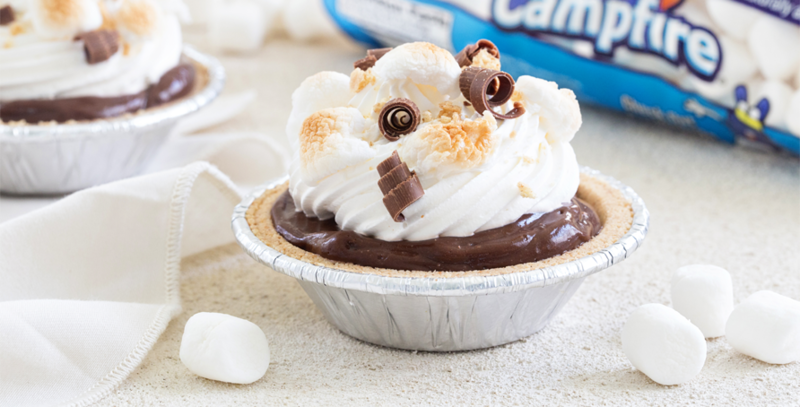 Before serving, top each pie with mini marshmallows, chocolate curls or chocolate chips and graham cracker crumbs. 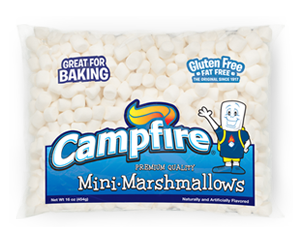 Notes: To toast the mini marshmallows, place them on a parchment lined baking sheet that has been lightly sprayed with nonstick cooking spray. Toast them in the oven at 350°F until they are lightly browned. Allow them to cool before adding them as a garnish.